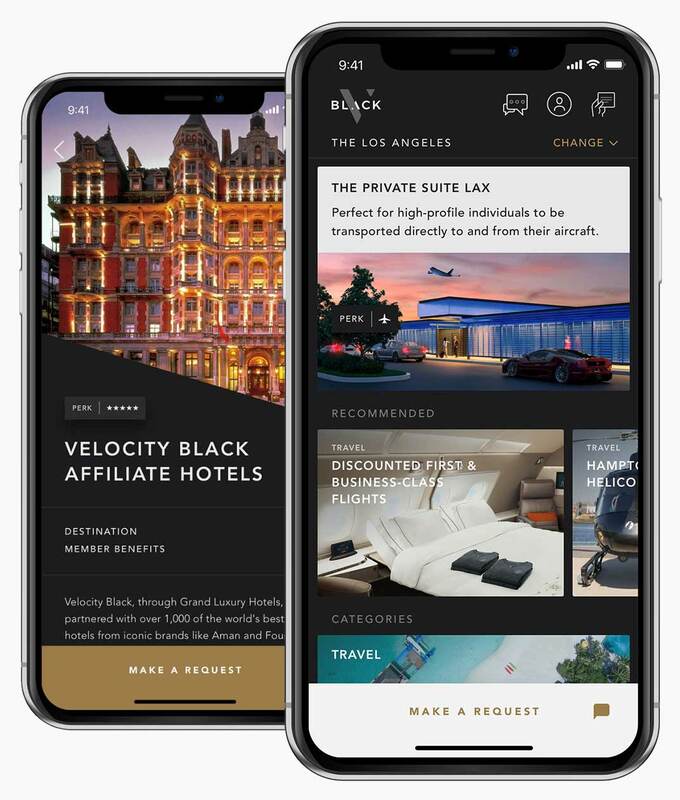 Velocity Preferred Partner hotel programme - perks including upgrades, resort credit, early check-in, late check-out and complimentary transfers at 1,000+ of the world's best hotels including Aman, Four Seasons & 1 Hotel properties. 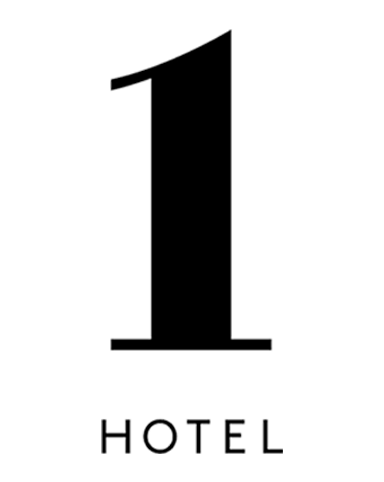 20-30% discounts - on first and business class airfares with all major carriers. 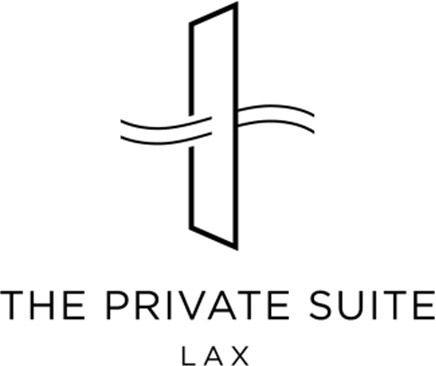 Free first time use at the LAX private suite - the ultimate way to travel and access to a network of private suites at 30 airports globally. The ultimate members club. Engineered for a life without limits. We believe the only thing we truly own is our story. That time is our most precious asset. We harness pioneering technology, expert human guidance and the power of one of the world’s most influential communities to empower you to make your story as extraordinary as it can be. Velocity Black’s membership community is one of the world’s most desirable. Their combined net worth is over a third of a trillion dollars. They make decisions, invent products and create art that changes the world. We harness this buying power to bring you a peerless array of privileges, from upgrades at thousands of the best hotels, to savings of 20-30% on business and first class flights. To preview the range of benefits on offer, tap here. Whether it’s corporate travel or an unforgettable honeymoon, Velocity Black’s team is never more than a minute away. Save up to 30% on business and first class flights, guaranteed upgrades at the best hotels and villas, access the finest restaurants. Chat with our team of experts through our app, and you’re guaranteed a reply within 1 minute, 24/7/365. This is the best way to maximise your life in the digital age. From microchipping Blue Whales in Sri Lanka with a renowned conservationist, to dinner within an Egyptian pyramid. Welcome to Velocity Black Originals. 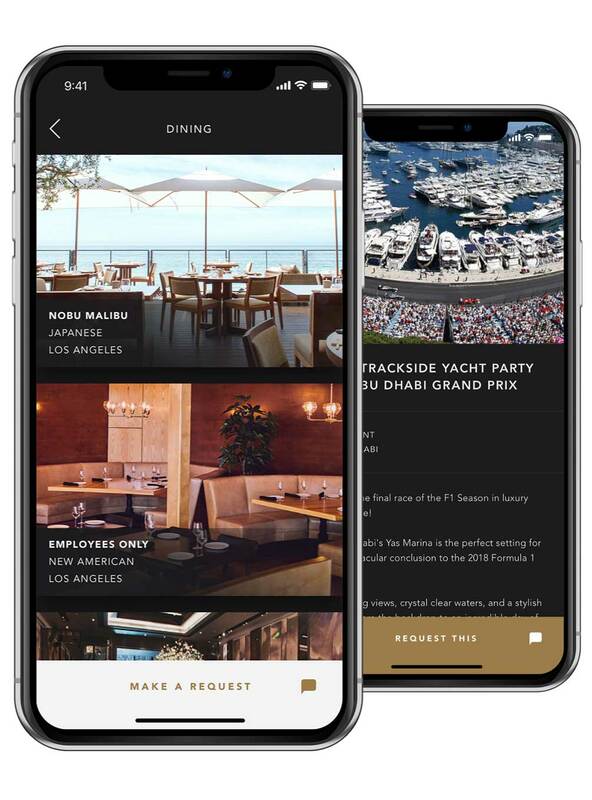 We power busy social lives with invite-only exhibitions, last minute availability to sold-out music, sport and cultural events and preferential treatment at 3,000+ restaurants from Michelin-starred classics to local hidden gems. Members also benefit from access to pop-up events across our social calendar, bringing together inspiring, driven people to socialise at unique events. We’ve reimagined discovery, access and booking for the digital age. A simple user experience, powered by humans using technology to remove complex, time-consuming tasks that once required multiple apps and services. Welcome to the conversational interface. We were tired of calling companies to find lines were closed or being put on hold. 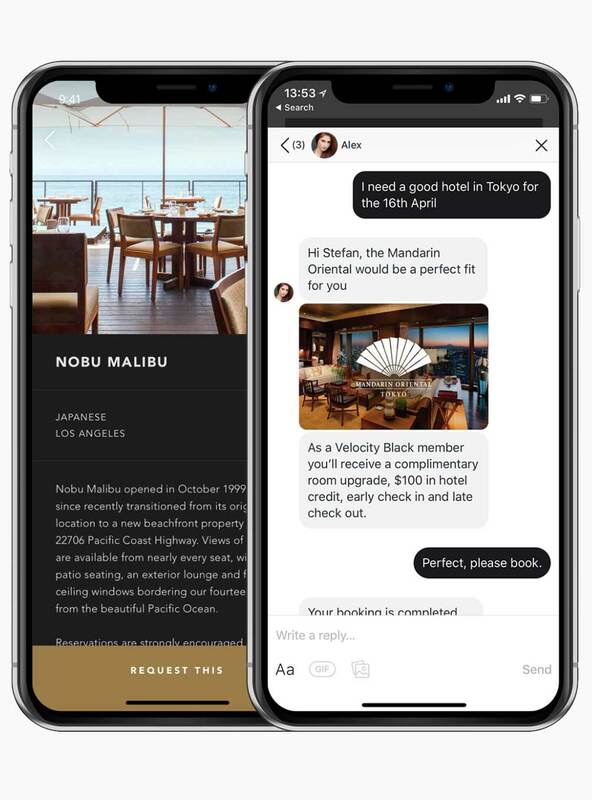 So customers interact with us through instant messaging, and are guaranteed to be speaking to a team member in London, New York or LA within 1 minute, 24/7/365. Combining human expertise with artificial intelligence Velocity Black is a lifestyle assistant that lives on your phone. 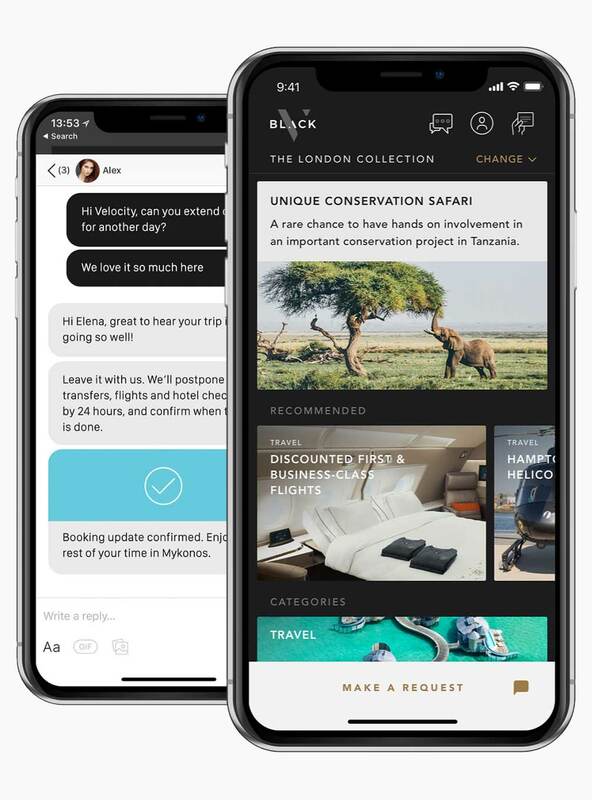 As well as the perks – from complimentary upgrades to preferred rates – the instant messenger services allows customers to tailor-make their lives, whether you need help at Burning Man or a tickets to the Wimbledon final – all at the press of a button, and within seconds. If you would like to join the waiting list, feel free to leave your details below. Membership availability varies by city. The membership committee will be in touch, in due course. Velocity Black is an invitation-only community.  From time-to-time we open a limited number applications for our partners. You can accept one of the 20 membership applications made available to IMI Properties by completing the form below. Accepting this invitation does not guarantee entry - all submissions are first vetted by our membership committee. To complete your membership application please provide a payment method. Should your application be accepted by the membership committee, it will be automatically charged.